Today we want to talk about the girls in the dojo. Before we get too far into this blog post, I want to be upfront that I’m writing this post from a males perspective, based on 35 years of involvement in Chito-Ryu. For a long time, most martial arts have been very male dominated. It’s usually men that hold the highest ranking positions, men who make most of the decisions and men who set the culture for most dojos and martial arts organisations. If you’re a woman or a girl, what I’ve said so far will probably make you want to run in the opposite direction, but hold on for just a minute, we’ve got some really good news for you. 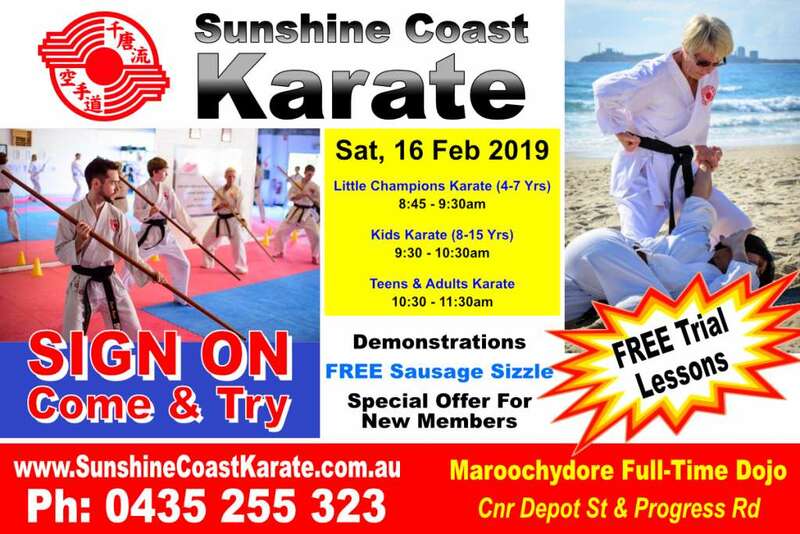 The times are changing and Sunshine Coast Karate is leading the way. My wife, Sandra & I co-founded the dojo and share many of the roles. As a result I think our dojo culture is very inclusive and encourages girls and women of all ages to feel comfortable. Although Sandra looks to me as her senior in the dojo (because I started training before her), we’re actually both the same rank, 5th Dan (5th degree black belt) & Shihan (master instructor). 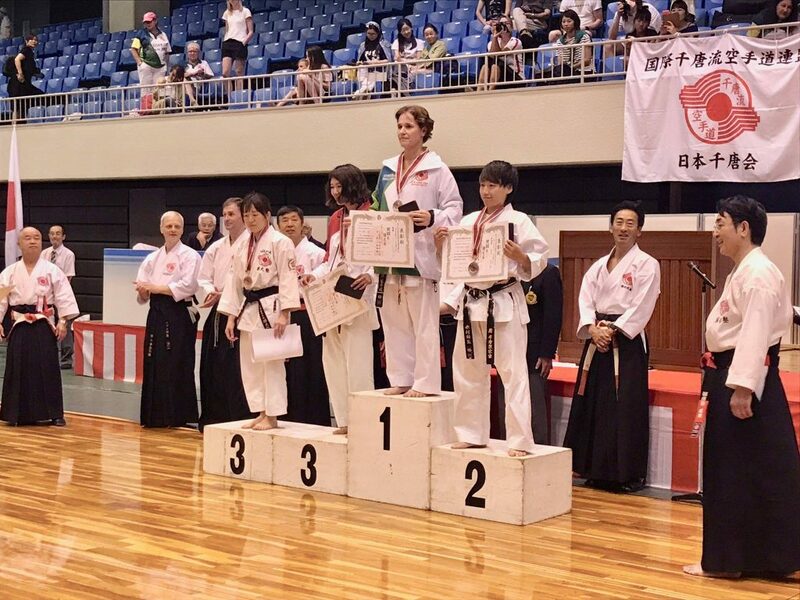 Currently, Sandra is the 2nd highest ranked female worldwide in Chito-Ryu. She’s a world champion and an exceptional martial artist. And when I say that, I don’t mean she’s an exceptional martial artist for a woman. She holds that status in anyone’s company, male or female. 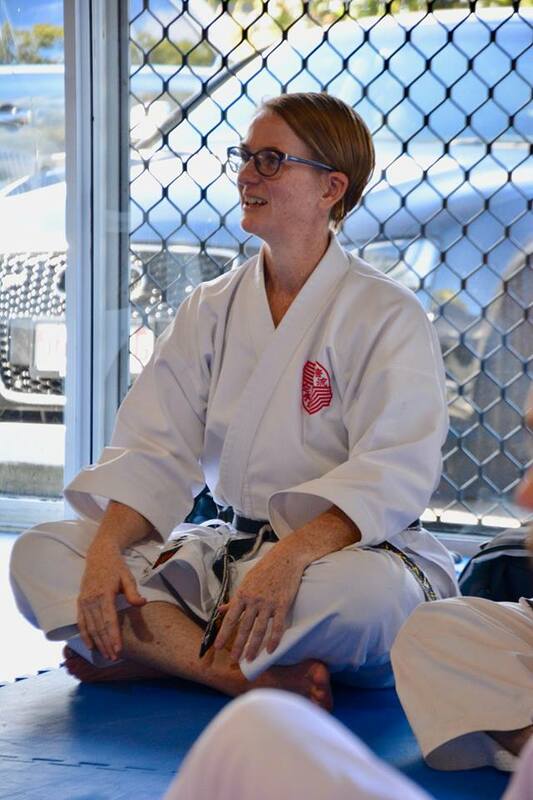 As a result of Sandra’s strong influence, a large proportion of our dojo membership is female. And this extends all the way through to the highest ranks. 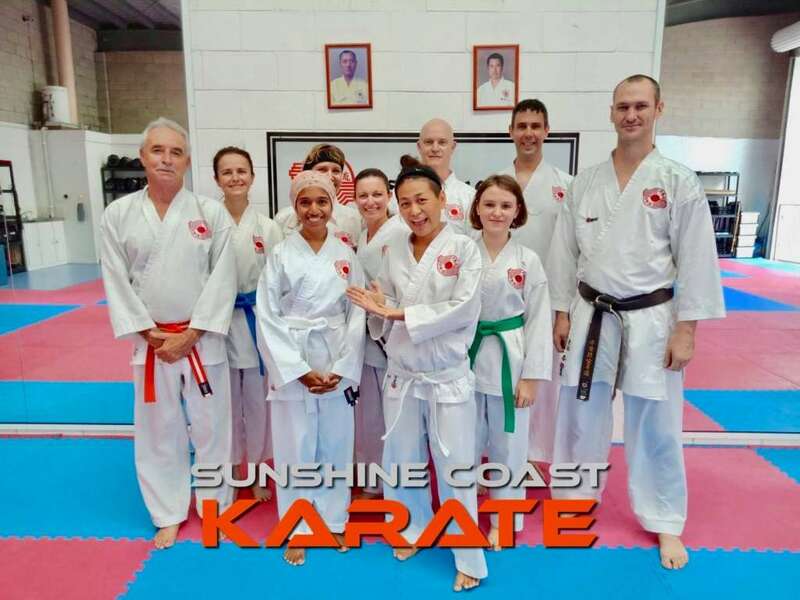 In fact our most senior student who is also an assistant instructor at Sunshine Coast Karate is also female. With these strong female role models in the dojo, it’s not surprising that we have so many women and girls training. It’s not uncommon for some classes to have almost no men/boys in them. And it’s not just young girls joining in either, we have teenagers, young women and Mums too. Just the other day one of our Karate Mums got started in her first adult class (made up mostly of ladies). 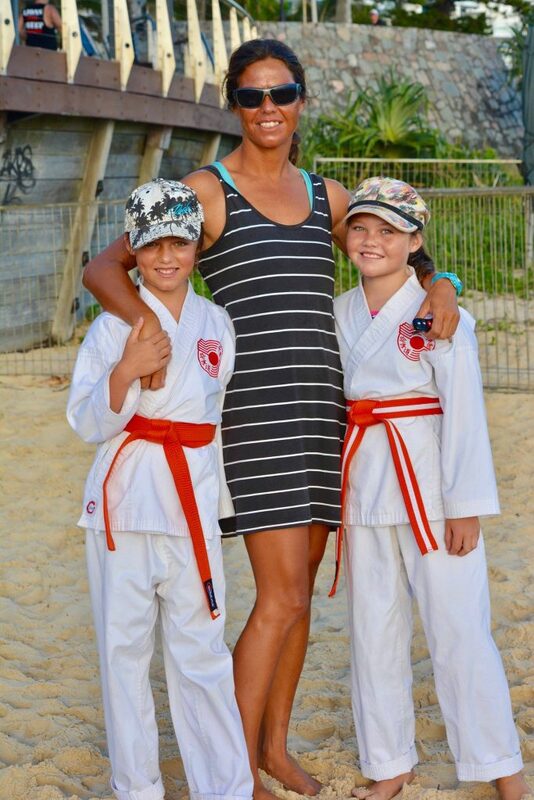 Our oldest black belt, Debbie, didn’t even get started training until just before her 50th Birthday after watching her children training with us from the sidelines for a few years. The year before last, we were very privileged to have Minowa Sensei visit our dojo too. Minowa Sensei is the most senior female in Chito-Ryu worldwide. So it was a great opportunity for some of the women of our dojo to get inspired. 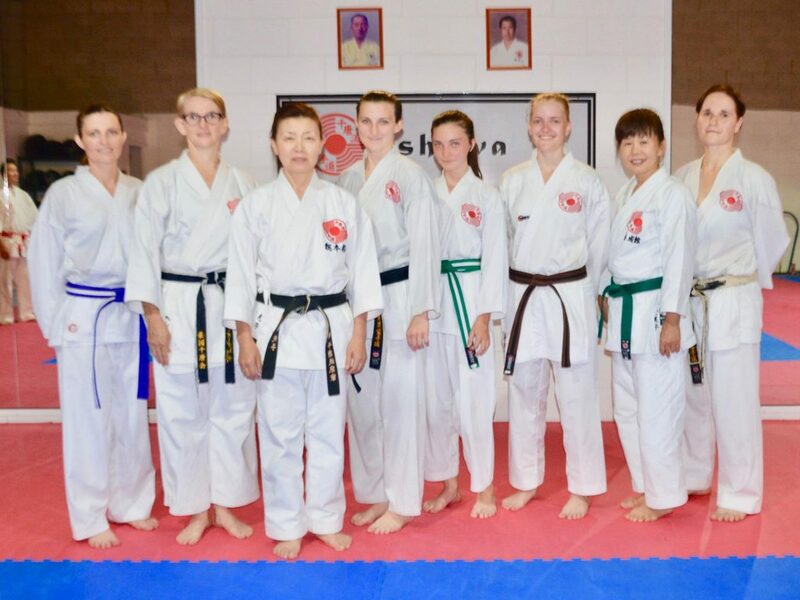 Minowa Sensei, with some of the SCK Ladies, November 2017. 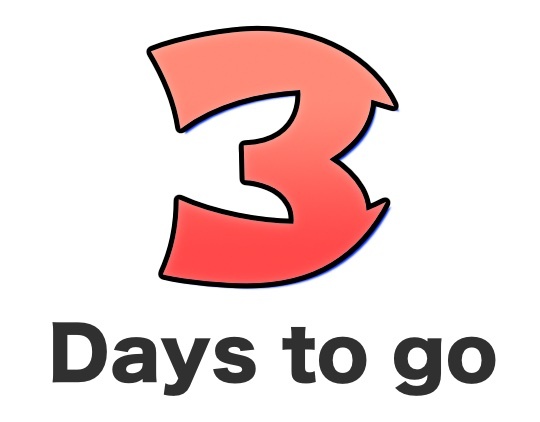 With the Come & Try Day just 3 days away, I’d like to put the call out to the girls of the Sunshine Coast. Karate is just as much for you as it is for men. Come along and have a go. You never know, you may just find karate to be a whole lot of fun.